The Company, Palazzani, was created in 1935, from a small workshop which began manufacturing agriculture equipment. In 1954, first Earth Moving Machines were produced- a range of hydraulically operated 4WD Wheeled Loaders and excavators and cranes. The positive feedback from the market allowed the Company to enlarge and progressively differentiate its manufacturing field. In 1980, Palazzani became a joint-stock Company and transferred all operations to the headquarters in Paderno Franciacorta (BS). At the same time, Palazzani started production of their renowned Aerial Platforms. 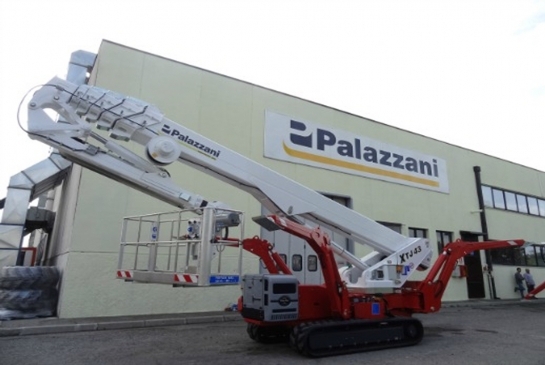 Since then, Palazzani has two manufacturing divisions: Paload – for Earth Moving Machines and Palift – for Aerial Platforms.